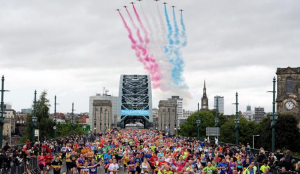 I’ve been getting asked alot about the Great North Run this week. 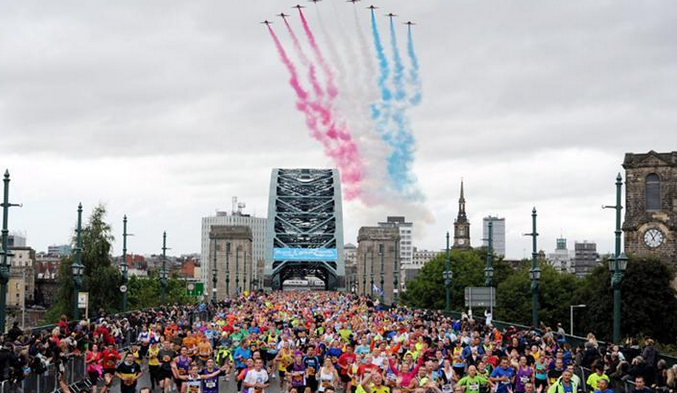 So I wrote my best tips for the next week or so, leading up to the Great North Run. 1. Stick to your plan and don’t get carried away trying to do too much. The majority of your training should be done now (maybe 1 or 2 more key sessions/long runs) – but it’s just about preparing for the event day. 3. Drink plenty of fluids. Dehydration can cause tight muscles, headaches and reduce your ability to run to your best. Make sure you drink enough water throughout the day. 4. Try a parkrun or local 10km event the weekend before the run to get involved in a timed event and running with others. 5. Practice your nutrition leading up to the event. Think about how you feel, if you have any stomach issues & how well you run. Try different timings. E.g. Eating 2 hours before your run or eating 3 hours before your run. Or drinking fluids whilst running – always tough to do this and breathe at the same time! 6. Ease your training off in the final week leading up to the run. Personally, I like to run the day before the Great North Run. I like to run for 20 minutes nice and easy, with 1 mile (at the pace I want to run the next day) to finish the run. 7. Don’t panic and stay calm. Get to the event early and get used to the crowds and the atmosphere. Enjoy it! It’s just another run. up to the run. Ease your muscles and get prepared for the big event. Prices start from just £17. Email me for more details.